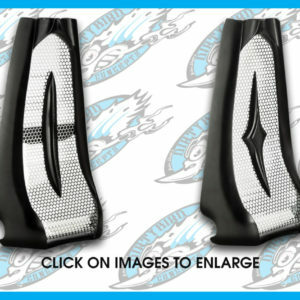 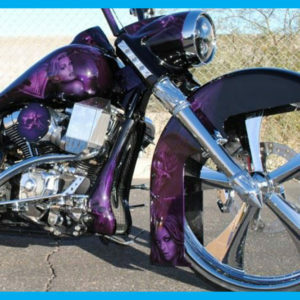 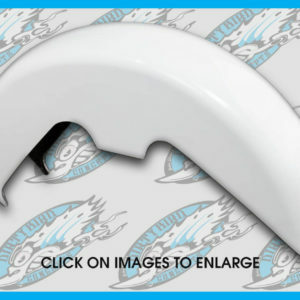 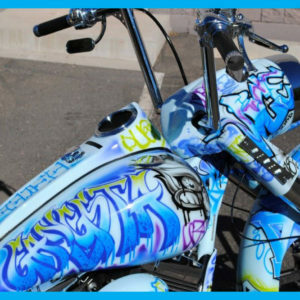 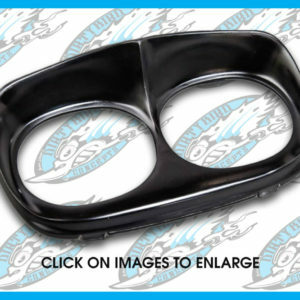 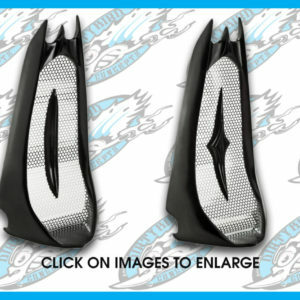 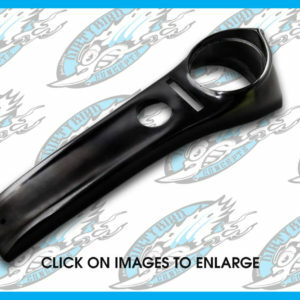 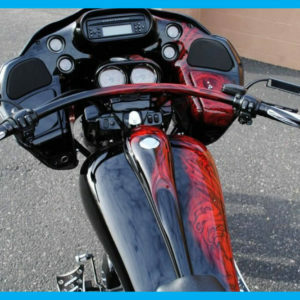 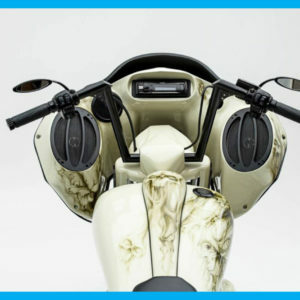 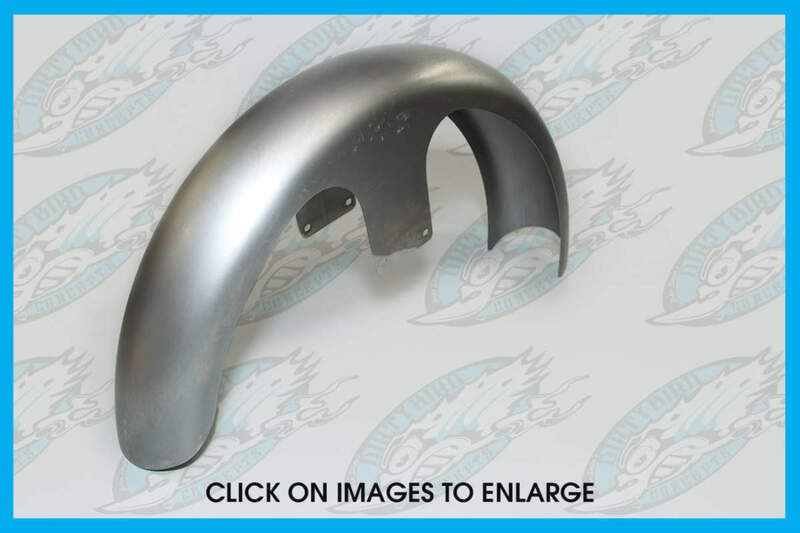 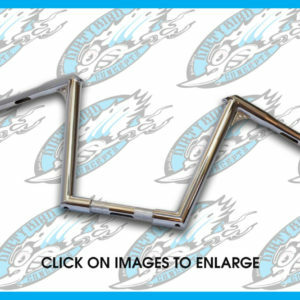 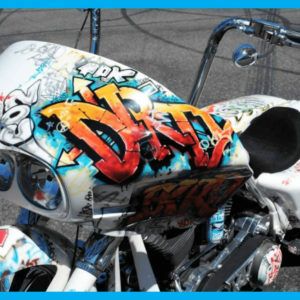 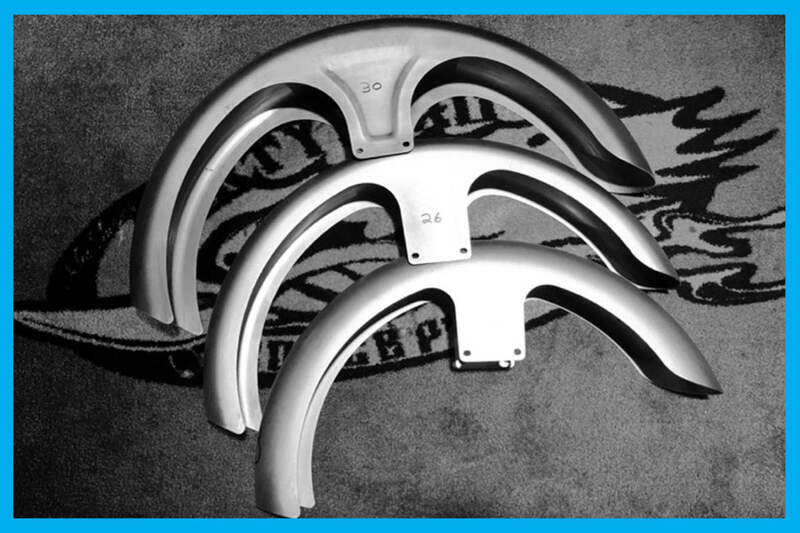 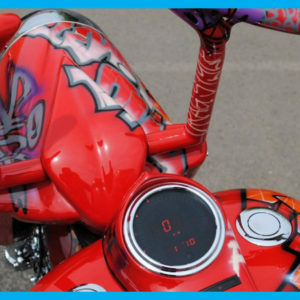 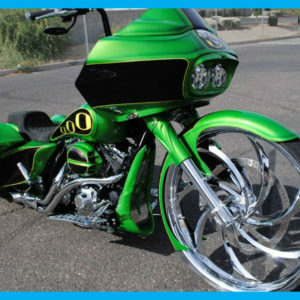 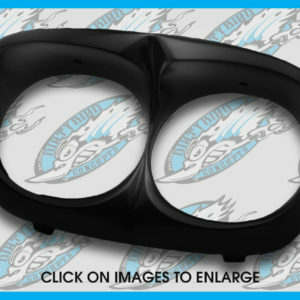 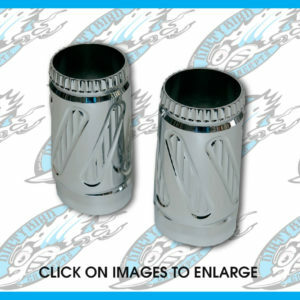 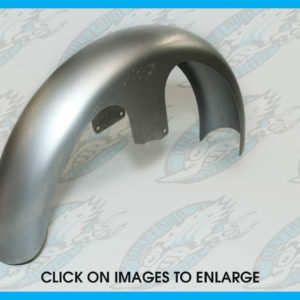 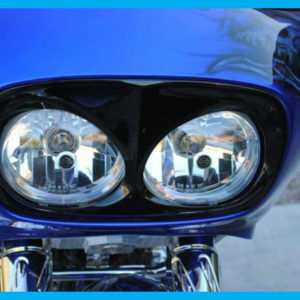 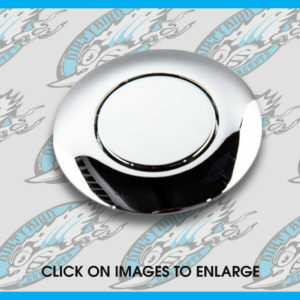 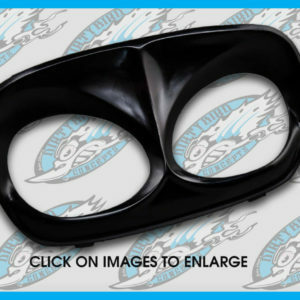 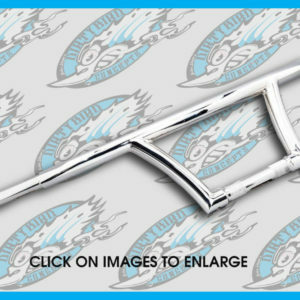 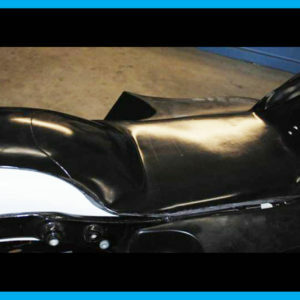 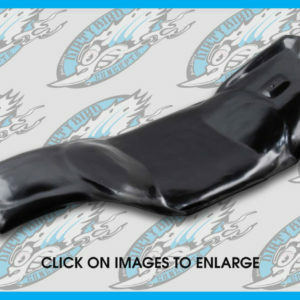 Check out our thick sick Harley wrap metal front fender for your Street Glide, Road Glide, Road King, Electra Glide touring model and even Softail. 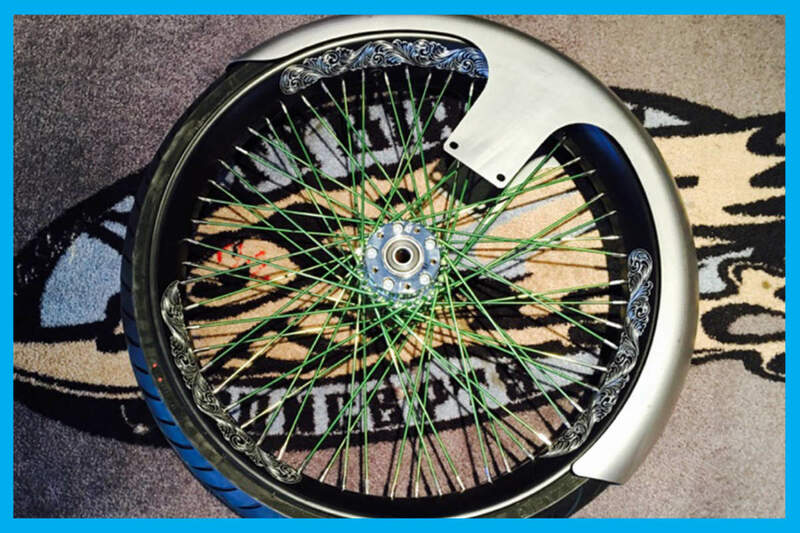 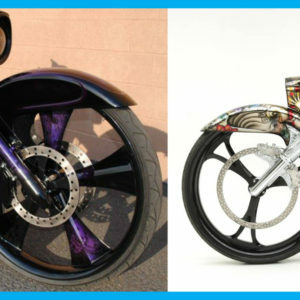 Only the best 14 gauge steel hand spun designed to hug the tire and flow with the rim to give you that slick design. 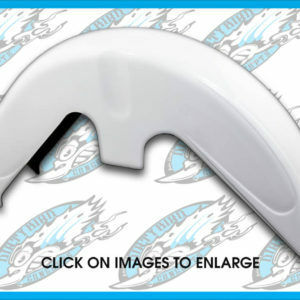 We have conveniently pre drilled holes for mounting so it takes the guessing work out of the equation, simple and clean. 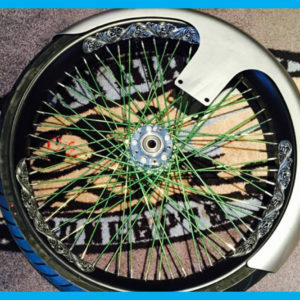 Level 1 installation difficulty. 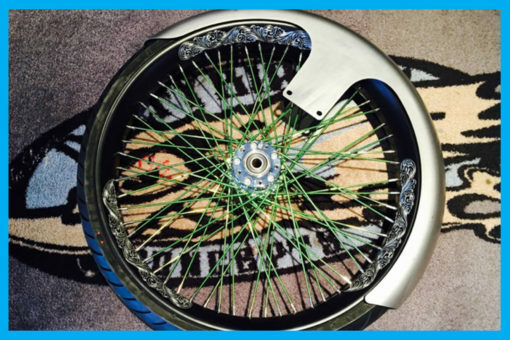 See description below for more details. 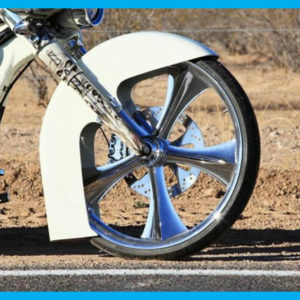 21″ front fender will not work for 2014 to present touring models. 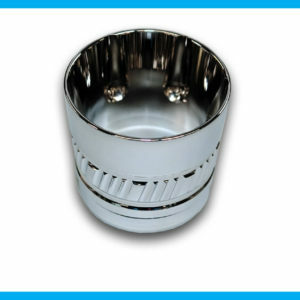 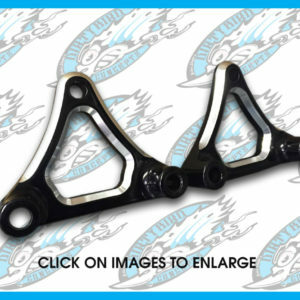 For 2014 to present touring models use 1/2 spacers. 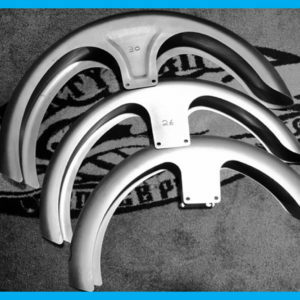 All front metal fenders come equipped with pre drilled holes for mounting.